Study in Australia – With over 1,100 institutes, 43 universities (40 Australian universities, two international universities, and one private specialty university), and over 6,24,001 (2017 statistics) international students Australia justifies its title of being one of the top destinations to study abroad. Majority of the international students who study in Australia hail from China (30 percent), followed by India (11 percent), Nepal (five percent),Malaysia (four percent), and Brazil (four percent). International students can pick from a wide range of programmes offered at various colleges and universities. In 2017, the number of Indian students enrolled in Australian courses were 87,615. Management, Engineering and Mathematics are some popular field of study in Australia and the enrollments happen mostly in the Higher Education, VET, Schools, English Language Intensive Courses for Overseas Students (ELICOS) and Non-award sectors. Management captures nearly half the international students population who pursue study in Australia. Moreover, international students have options to enrol themselves in online degree programme in Australia. Australia officially the Commonwealth of Australia, is a sovereign country comprising the mainland of the Australian continent, the island of Tasmania and numerous smaller islands. It is the largest country in Oceania and the world's sixth-largest country by total area. The neighbouring countries are Papua New Guinea, Indonesia and East Timor to the north; the Solomon Islands and Vanuatu to the north-east; and New Zealand to the south-east. Australia's capital is Canberra, and its largest city is Sydney. Thinking of Australia reminds all about the see sandy beaches, koalas, barbeques and water. However, the country has so much more to offer than just that. Many foreign students are choosing Australia as their study abroad destination- thanks to its world ranking universities, friendly natives and high living standard. You can say life in Australia is laid-back in nature unlike fast moving countries such as the USA. Australia has six of its universities making into the list of top universities in world and is also the third most sought-after study abroad hub. The country is also known worldwide for its higher education system, ranking 10th in the U21 Ranking of National Higher Education Systems. The most efficient way of selecting your study abroad destination is to go by the number of world ranking universities in the country. The higher the universities are ranked, the better is the country considered for higher education. Australia boasts top universities such as University of Melbourne, Australian National University and University of Sydney to name a few. One of the key reasons for Australia's popularity among international students is that it is a research-intensive country with strong infrastructure for the same. Some of the popular locations for students to study in Australia or best students cities in the country are Melbourne, Sydney and Canberra among others. Top courses to study in Australia are MBA, Engineering, Accounting and Finance, Sports Management, Hospitality and Tourism Management. The academic criteria (including evidence of English language proficiency) aspirants need to meet in order to pursue higher studies in Australia vary much on the level of education they wish to study. Every University/Institution have different admission requirements, so prospective students should read the course information available on respective websites and contact them for further advice. A general guidance on entry requirements for the different levels of study are mentioned below for a holistic understanding. English Language Proficiency - Entry requirements vary between institutions; however most universities and institutes accept IELTS score, some of them accept both IELTS and TOEFL test scores. The other accepted proficiency tests are PTE Academic, and CAE. Vocational education and training - Mostly there are no entrance exams for VET institutions. However, some courses may require pre-requisite subjects or work experience. For Undergraduate Studies - To gain admission into an Australian undergraduate course candidates will need to have an Australian Senior Secondary Certificate of Education (Year 12), or the overseas equivalent. Moreover, some of the undergraduate courses have specific pre-requisite subjects. For Postgraduate Studies – A satisfactory completion of at least one degree at undergraduate level is a mandate for taking up postgraduate courses. Few institutions may take research ability or relevant work experience into consideration as well. GMAT is required by some universities for the MBA programme. Additional Information- To meet the academic requirements of an Australian high school qualification, one can consider taking a Foundation course. Commonly known as bridging study, these intensive courses help meet the entry requirements. The tenure of these courses are usually one year and are offered by most higher education institutions. After deciding on the university and checking the Australian admission cycle requirements, aspirants then need to focus applying for the student visa to study in Australia. The subclass 500 Australian student visa allows international students to stay in the country to pursue a full-time programme at a recognised institute or university. The best part of the Australian Student Visais even eligible family members can accompany international students who decide to study in Australia. 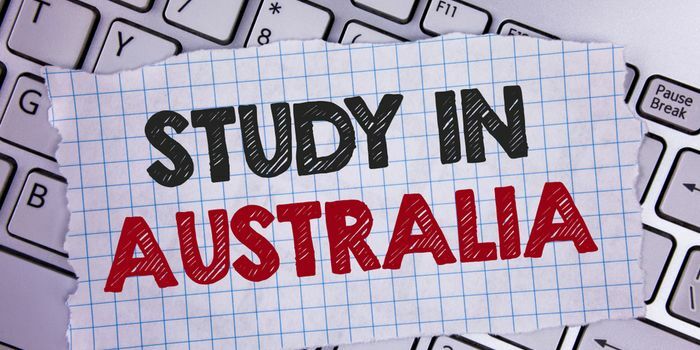 According to the admission cycle of Australia, the Subclass 500 Australian Student Visa allows eligible foreign students to reside in the island country up to the complete duration of their respective courses. To be eligible for the visa, candidates must first be offered admission into university of their choice and must be enrolled in a full-time programme at a recognised university. International students go through a strict application process before being offered an Australian student visa. Australian admission cycle is considered complete once the deadline is over and the aspirant has applied within the same. Kindly note- Family members can accompany the candidate to Australia if the names are included in the visa application. Family menbers may join the aspirant in Australia after the applicant is granted his/her visa as a subsequent entrant. Candidates must remember that the processing times may vary and is liable to change. Australia does not have a typical lifestyle. Some Australians choose a laid-back life in the country, while others prefer living in busy cosmopolitan areas. Regardless of where they choose to stay, Australians enjoy a high quality of life. Knowing the average living costs in Australia is a vital part of the financial preparation. The costs provided below are approximate figures only. Aspirants should be aware of the costs and should be aware that the costs may vary depending on the location of study in Australia. Education agents in respective home countries can assist aspirants with applying to study in Australia. It is a requirement under the ESOS Act, that all institutions maintain a list of appointed agents and the same to be published on their website. Applicants are advised to visit the institution's official website at which one intends to study to view the list of their agents in near proximity.